Most of the informational websites about Asperger’s/autism are built and written by those people; our voices are rarely heard. Our stories are rarely told by us. Regardless of the lack of true insight, many of these people claim to be Asperger’s/autism “experts”, while ignoring the attempts made by autistic people to tell their own stories. Fewer people attempt to seek out the source of the information they find on those websites. Sometimes the source is obvious; it’s either quoted from a respected source, or perhaps it’s a personal experience with an interaction with an autistic person. …as long as the source author themselves know what they’re looking at. Frequently, in the case of Asperger’s/autism, they don’t. This is because that person, the (sometimes self-appointed) “expert” writing the story is rarely autistic themselves. I’m not making the hard statement that a non-autistic person can’t be an expert on the subject of autism. I am saying that many of those who claim to be such experts rarely actually are. They may believe they know what they’re seeing, and thus, they may believe they know what they’re talking about, but they may not–and in fact, they often don’t–have the first fluorescent blue clue. One needs to have that first clue in order to think of calling themselves an expert. Getting that first clue doesn’t come from earning a fancy degree, putting on a white coat, and sitting behind a clipboard, merely writing down what they think they see. Nor does it come from simply giving birth to–or spending time around–an autistic child/person. It comes from either experiencing Asperger’s/autism firsthand (and probably interacting with other autistic people as well) or interacting with many of us a lot, and taking seriously what we say. Above all, it comes from entering the encounter with a open mind, a kind and judgment-free heart, a neutral hypothesis (if any at all), open eyes and ears, and a willingness to step outside of the box. It’s absolutely necessary to leave all preconceived notions, labels, and assumptions (especially those regarding pathology) at the door. It’s absolutely necessary to discard premature conclusions. It’s absolutely necessary to consider the unique individual in front of you, and to remember that they’re a whole person, just as they are. It’s absolutely necessary to put away the guessing games, take the long view, and ask more questions than you make statements. It’s absolutely necessary to withhold judgment and maintain a flexible lens. That all “experts” who are themselves non-autistic, who have not fulfilled the above prerequisites, stop claiming to be authorities on the subject of Asperger’s/autism. If they haven’t actually sought out our perspectives and listened to what we’ve said, then they’re not an expert. However, we are. Please, step down from the mic and let us step up to the podium and take it. Many of us have plenty to say, write, or draw; many of us are hopping up and down with the desire to express ourselves in our various forms, in a time, place, and method in which we can be heard. We often find it difficult to shout over the people shouting over us. We often find it hard to be heard over the chaotic and doomsday din of the “official” sources of “information” out there. We don’t have billions of dollars for advertising/promotional campaigns or search engine optimization (SEO) for our own blogs and websites. So I’m asking for a voluntary effort. I could be asking too much, but I hope not, because the request is a logical and reasonable one. I can immediately think of a few entities in which this request would/will be too tall. The puzzle piece organizations would stand to lose way too much by going silent or handing over their microphone to us and giving us the floor, even temporarily. The martyr-like Autism Mom/Dad(TM) segment of parents of autistic children (not to be confused with the majority of parents of autistic children who are pretty cool) would lose the grip they maintain on attention focused on them and the sympathy and back-patting that comes with it. The scientific researchers and medical and mental health professionals (again, referring to the ones who remain narrow-minded) would have to admit that they don’t know everything after all. They would be faced with public knowledge that they had been wrong all these years. It takes a lassoing of the ego to admit one’s mistakes; the ego of those to whom this post applies is far too inflated and far too fragile. They don’t dare Go There. The medical/mental health professionals would also have to admit that many of us would be just fine without being subjected to their intensive treatments. And those who aren’t exactly “people” people would have to learn and adopt a whole new paradigm, one in which practitioner and patron create a more egalitarian partnership. It’s not in the best interest of any of those groups to fall silent and give us the floor, either; what many of us have to say would generally defeat their purpose and detract from their spotlight. They would no longer be the conventionally-respected gatekeepers of information, authority, and thus, power. The first rule of obtaining and maintaining power is to discredit your opponent. And unfortunately, the current setup pits people against each other, who might–and should–otherwise be allies. Classifying Asperger’s/autism as a disorder, especially a mental one (by continuing to include it in the Diagnostic Manual of Mental Disorders), accomplishes that discreditation. The gatekeepers involved would have to adopt and adapt to a complete shift in thought and belief. They would have to alter perception pretty much entirely. They would have to admit that traits they currently deem to be pathological “symptoms” are simply differences they don’t understand. But what these groups would “lose” really wasn’t theirs to gain in the first place; it was taken (stolen?) from its rightful owners: us–the people on the Asperger’s/autism spectrum ourselves. These folks began talking over us long before we had even been born. And their descendants and disciples now carry that original torch. I’m glad to see that we’re taking that torch back, whether they want to give it up or not. I’m encouraged to see us form grassroots movements of our own in opposition to the rhetoric. I’m happy that many of us are increasingly content with ourselves and our neurotype. I’m overjoyed to be able to find positive, firsthand accounts of Asperger’s/autism, written by people on the spectrum ourselves. I’m comforted by the increasing instance of people coming out as Aspergian/autistic, being met with increasingly benign, no-big-deal responses. These are all steps in an awesome direction, toward a much brighter collective future and a generally much-improved life. It’s time to take on the world. I hope the martyr-like Autism Parents(TM), the research scientists, the medical and mental health professionals, and the puzzle piece organizations can keep up! ‘Puzzle-piece organisations’ is a great term, I’m stealing it. I really hope we get to shape our own narrative in the future. I think many on the spectrum are interested in Asperger’s / autism (‘special interest’, that annoying word) and hopefully will be able to study this in the future. Since like you say, puzzle-piecers, autism parents ™, ‘experts’ probably don’t want to lose the power they already have. Other than that, I’m so tired of so called ‘experts’. If I hear the word ‘terror expert’ one more time I’m probably going to punch something. I don’t necessarily agree with your “pat on the back” comment about us parents. I’ve never asked for a pat on the back. In truth, I’ve raised our son with out the help of the internet and its knowledge. We just went through the motions, and helped our son get the best education and social life that he could get. I’ve been grateful for him, our life together with the good times and not so good times. It hasn’t been a walk in the park, but there have been many more great memories and i wouldn’t trade our life for anything. My husband wrote a book about 5 years ago about a father’s perspective raising an autistic son. It’s called “Andrewtism” by Ken Smyth. Funny and good stories about the younger years with our son. Your blog is helpful because I am always grateful to see the world from your eyes. It helps me understand my son a little better. Thank you sharing your perspective. This is fabulous! I love the way you delve into motivations for actions. At what point does a parent become a martyr or talking-over, or voice-appropriation? My blog, for example. In my years of knowing that my daughter is depressed, I’ve found exactly one open and respectful community for parents, who are primary caregivers for people with illness, among other things, and who do have very real fears, concerns and even basic caregiving tasks that are different from “regular” parenting. That community is on facebook, which I don’t do anymore. So my blog is my attempt to make sense of my fear (of her always-potential suicide), my own issues, and my own revelations. It could *very* easily become a venting exercise, though I try very hard to make it about real self-exploration. And, just as I can’t get into her head and know exactly where she’s at, autistic, depressed and anxious, she wouldn’t be able to get into mine. So I don’t claim to speak for her. OR for other parents of depressed teens, for that matter, or for other depressed teens. BUT, the very fact that I even have a blog of self-exploration (as opposed to, say, gardening), is because of her. Good write up. It’s important that people with Autism have a voice and the right of self-determination. I know you aren’t referring to all parents in this post. As difficult as it can be for those on the spectrum to understand us (parents/neurotypicals), it’s equally hard for us to understand those on the spectrum as well. Being a parent changes everything. When you are responsible for raising, protecting and guiding your child, a life you created, it’s taken very seriously. There’s no instruction manual that tells us what to do. When you throw Autism into the mix, it increases that challenge infinitely. Most of us parents, do the best we can and figure things out as we go. I accept my kids for who they are an embrace their differences. I wouldn’t change them for anything in the world. Not everyone can do that though. Autism impacts in so many different ways and parents of those with kids who really struggle, want to do everything in their power to help mitigate whatever is hold their child down. I just published a post about what newly minted Autism parents should know. One of the key points I stressed was the importance of connecting with the Adult Autistic community. If theres anyone on this planet that can help us better understand our kids, it’s Adult Autistic. I’ve met so many amazing adults on the spectrum and their insight has profoundly helped me better understand what my kids are experiencing. They can put a voice to what our kids struggle to express. Unfortunately, not many people realize that there is a community of people out there who are more often than not, happy to share their personal insight and help us parents better understand the kids we love so much. As for Autism experts, I don’t think they exist and I’m not comfortable when people refer to me as one. First of all, I’m not Autistic. Secondly, how can anyone be an expert on something going that is so profoundly dynamic, that no two people are alike? The simple answer is, they can’t. However, I am an expert in my kids, and people can be experts in what they personally experience first hand. Doctors and specialists are very important but clinical knowledge isn’t always enough to truly grasp what Autism is….. Thank you for sharing your insight! I agree with pretty much your entire comment – I should add that what I mean when I say that autistic people are experts in autism, that that pertains to our own version, our own experience. Because you’re right, it’s totally true that I can’t necessarily be an expert on someone else’s autism. 😊. I can say that having read up (and almost memorized) the diagnostic criteria for Asperger’s/autism, and being able to see how those criteria apply in my own life, and having compared notes with so many other adults and teens on the spectrum, a lot of us share far more in common than we ever imagined. But that still doesn’t make us experts on each other 😉; it simply creates solidarity and self-confidence. Reblogged this on AutistWanderer's Musings. Great post, and very well expressed. One of the things that make my quest to find out who/what I am so difficult is that the pathologising discourse is so dominant. 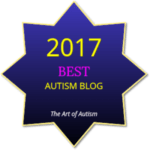 I’m glad that I discovered the autistic blogosphere as a counterweight. So often when I read the experiences of autistic people, particularly women roughly my age, I find so much that I see in myself as well. I see myself mirrored in them – not always, of course, but often enough that it started me thinking I might be part of the tribe. Then I reach for one of the ‘expert’ books, which purport to present “The Facts” – even ones like Tony Attwood’s book, which has been recommended by autistic people – and I’m no longer there. What is described in these books does not apply to me. And I start to think I’ve been deluding myself. Who’s right, the ‘experts’ or the bloggers? I totally agree with what you are saying in your post, it’s just when you’ve been listening to the ‘experts’ for so long, it’s hard to shake off the feeling that they might be right.